For more the most complete and current information on Pony Measurement, please view the USEF Pony Measurement FAQ page by clicking here. 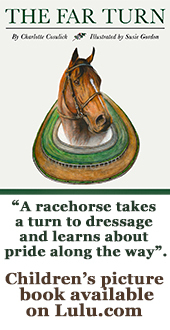 Or refer to the dressage division in the USEF Rule Book. According to DR135.1 in the USEF Rule Book, any animals not over 148 centimeters without shoes, or 149 centimeters with shoes are classified as ponies. All other animals are classified as horses. 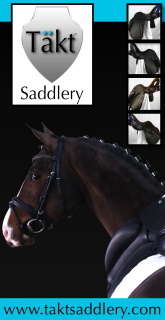 Should my pony be measured? A copy of the Federation Standard or Temporary Measurement Certificate must be submitted with the entry for each pony possessing a Measurement Certificate and competing in order to be eligible to compete in Dressage classes, tests or awards limited to ponies or Dressage Sport Horse Breeding classes, tests or awards limited to ponies. (DR135.2). Who should measure my pony? If a pony, age three or over, is not in possession of a fully and correctly completed Measurement Certificate, Competition Management must order the pony to be measured by an eligible Dressage Technical Delegate who is certified by USEF to conduct dressage pony measurements, and the Competition Veterinarian, pursuant to GR505, GR506, and GR508. (DR 135.2). Be sure to contact the competition manager ahead of time to get this scheduled, don’t wait until you get to the competition to tell them you need a measurement done. What if I my pony is not measured? Failure to allow the pony to be measured will result in the pony being disqualified at that competition from competing in pony classes or tests or for awards limited to ponies. (DR 135.2). Where can I order a USEF Measurement Stick? 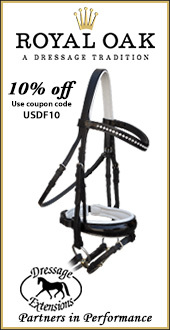 Competition Management and TD’s can purchase a measurement stick using the Measurement Stick Order Form on USEF’s website. If looking to rent a measurement stick use the USDF Pony Measuring Stick Rental Agreement.